The Ketogenic diet basics is a low carb high fat diet that involves your nutritional food intake being 60-80% fat, 20% protein and 10% carbs. Most people who are on the Keto diet are focused on eating 20 carbs or less per day. 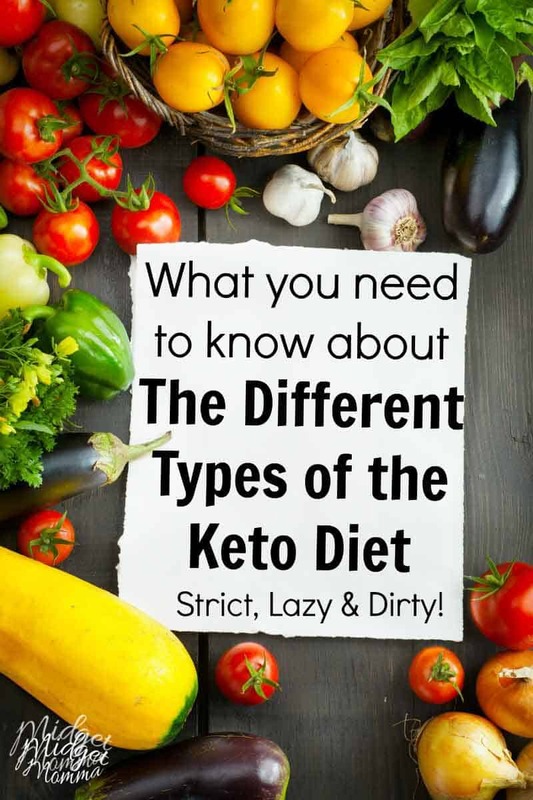 In the Keto world, the most popular Types of the Keto Diet are Strict Keto, Lazy Keto, and Dirty Keto. It is important to remember that whatever lifestyle changes you are making you need to make and follow thru with the ones that work best for you. It is also important to remember that this is YOUR journey, this is no one else’s journey and what works for one won’t always work for all. I personally believe that all changes to a healthier lifestyle should be rewarded and celebrated. Any accomplishment towards being healthy is a good one. That doesn’t mean that having the occasional treat is bad and you should beat yourself up for it. That means that going from eating healthy 10% of the time to eating healthy 30% off the time is progress to be proud of. I don’t believe in telling people “How to Keto”, I am not the keto police and never plan on being the keto police. My goal is to help people work towards their goals while eating keto and making sure I share all information I can with them to help them in their choice. Just as any diet or way of eating, there are modifications to the keto diet as well. A person may not like the exact way the classic Keto diet is done may modify it to fit their needs. It is important to keep in mind that none of the different types of the Keto diet have solid definitions and there are variations made all the time. It’s also safe to say that strict Keto doesn’t have a specific definition, but does have specifics basics. 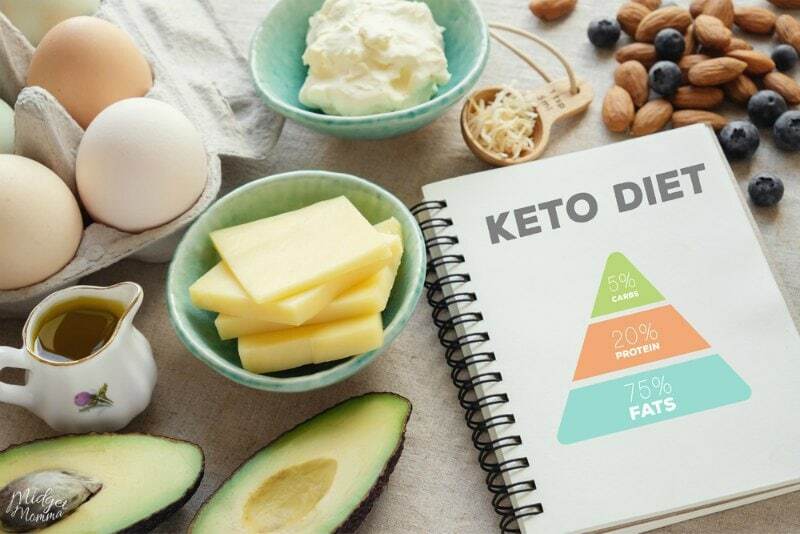 However I do know there is much confusion for people at times, so for this post and to help you by explaining the basics of each type of variations of the keto diet I am going to give you the basics of each type of Keto. Strict Keto is also known as the classic keto diet, this is also sometimes referred to as clean keto. The basics of strict keto are heavily focused on being strict with the macronutrients that are being eaten. It is focused on eating the right amount of food, sticking to a certain number of carbs, and are very strict about what they put into their bodies. Sticking with good for you foods and quality food items is a focus for strict keto. Strict Keto is very popular because this is where people see the best results. It is the type of keto that involves eating the most fresh foods and keeping strict track of the macronutrients. It is important to a someone on a strict Keto diet to meet their proper macros (Macronutrients). 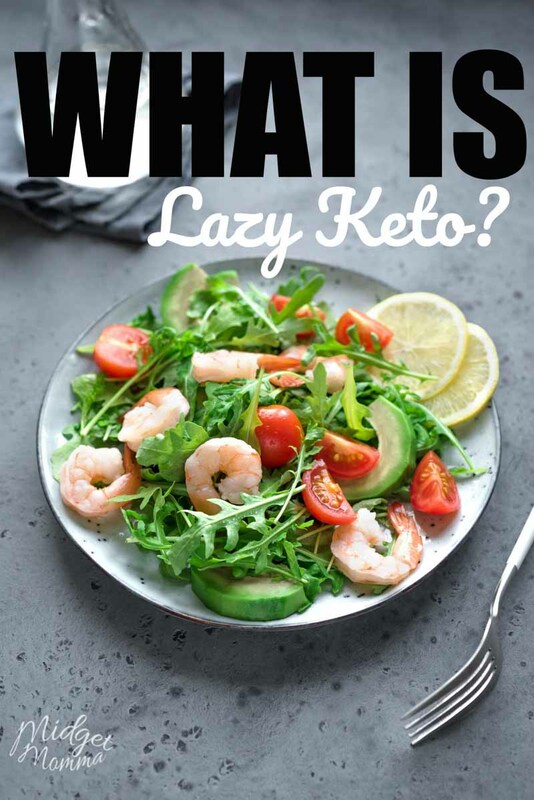 Not everyone has the time or energy to put into strict Keto, therefore Lazy Keto is the name given. This type of Ketogenic Diet makes sense for someone who needs to lose weight but can’t focus on a ton of different avenues. Lazy Keto diet focuses on only eating 20-25 carbs per day, but the rest of the macros they may not even bother with tracking. The biggest difference between Strict Keto and Lazy Keto is the tracking of macros. Sticking with good for you foods and quality food items is a focus for lazy keto. 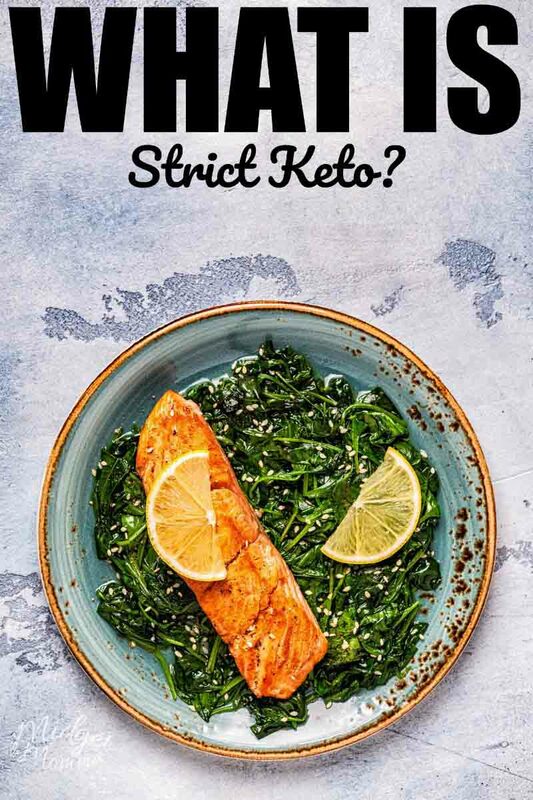 Some people follow Lazy Keto by just eating Keto foods easily available to them and eating things they know fit into their macronutrients after being strict Keto. But the biggest part of Lazy Keto is they aren’t strict when it comes to tracking anything other then their carb intake. There maybe times when they eat a bit less fat or a bit more protein or vise versa and they don’t stress about it. Some people switch to lazy keto once they know what food items and quantity work for their body and they can stay on track with keto with out having to write down every thing they eat every single day. 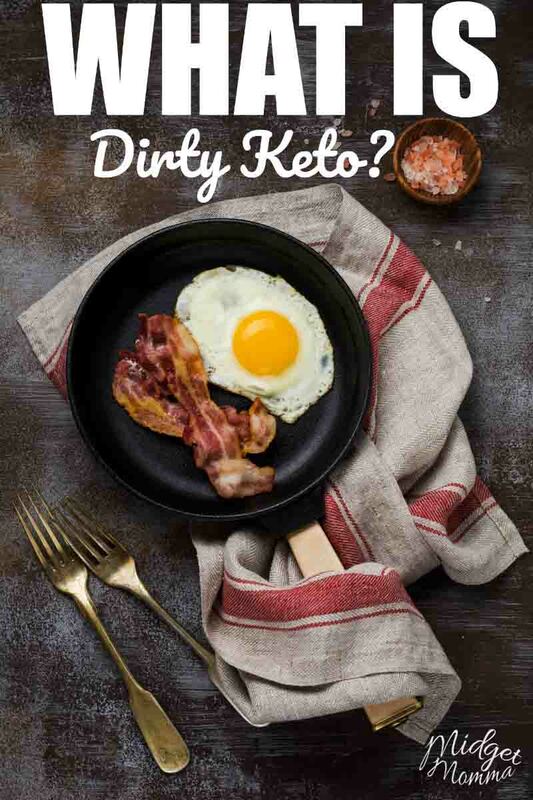 Dirty Keto is the name given to the type of keto diet that tosses caring about food quality out the window. This means the focus is not on the food itself that a person is eating but more so on the carb count. Dirty Keto is also called “If it fits your macros”. Dirty keto is also where many of the keto friendly desserts fall into. Desserts in moderation are always ok no matter what diet you are on, but when it comes to eating keto the strict and lazy keto types of keto don’t go for eating a dessert daily. Even if a dessert is low carb and keto friendly, it is not always a healthy food choice. This way of eating keto is more inline with being a “fad” then being a way of changing how you eat and if that works for you to make the changes you want to and meet your goal that is A-OK! A person doing dirty Keto sticks to the macros, but they may be more relaxed on the food quality. When in the grocery store, they may not be focused on whole foods or being particular about WHAT is in their food as long as it fits within their macros. A person on dirty Keto may even eat a lot of processed foods. When it comes to the keto diet, it just depends on everyone’s own journey and what they’re adding to their diet. It’s hard to say what every single person on Keto does. So, which way of eating Keto should I pick? Personally for me I hover between eating low carb and lazy keto. I aim to eat more veggies that are lower in carb then eating things like potatoes that are high in carbs. I aim to eat foods like salmon and avocados that are filled with good for you fats. I aim to eat at little processed foods as I can and include organic foods in my diet whenever possible. I aim to make the better for me food choices in general while sticking to the general keto rules of 60-80% fats, 20% proteins and 10% carbs. But that doesn’t mean I don’t have the occasional piece of cake (low carb/keto version or full of sugar version). It doesn’t mean I skip going out to eat with my family, I just make a better choice then I would have before when we do go out to eat. It doesn’t mean I don’t enjoy bad carb filled foods once in a while, I just limit the my overall consumption of them and don’t eat chocolate bars and cake every day and limit that to once in a while and in moderation. You need to pick what works for you. I am going to say it again, what works for one is not going to work for the next person. For some people eating dirty keto is a big step up from the way they were eating before hand. They are wanting to make better food choices then they were and moving to dirty keto is an accomplishment for them. At the same time, some one who is super strict, tracking everything they eat and only eating organic food items might be making the same giant accomplishment in making better food choices. It is also important to know that you really can not compare your keto journey to someone else’s. It is important to remember that you also won’t have the exact results as someone else does. You have to always keep in mind that if dirty keto is what works for you, you may not see the same results as someone being super strict. Most people see some type of weight loss because eating Keto is still way different than what they’re used to eating. No matter what way of eating you’re doing, eating too much can result in you NOT losing weight. Try and pay attention to how much you’re eating as this is super important in any weight loss journey. If you are still in the process of trying to figure out which way of eating is going to be most successful for you, be sure to check out the low carb and keto recipes, along with these helpful tips for sticking with the way of eating you choose. Looking for Keto Recipes? Check these out! Keto Soup Recipes – Tasty Keto friendly Soup Recipes that are perfect for lunch and dinner!